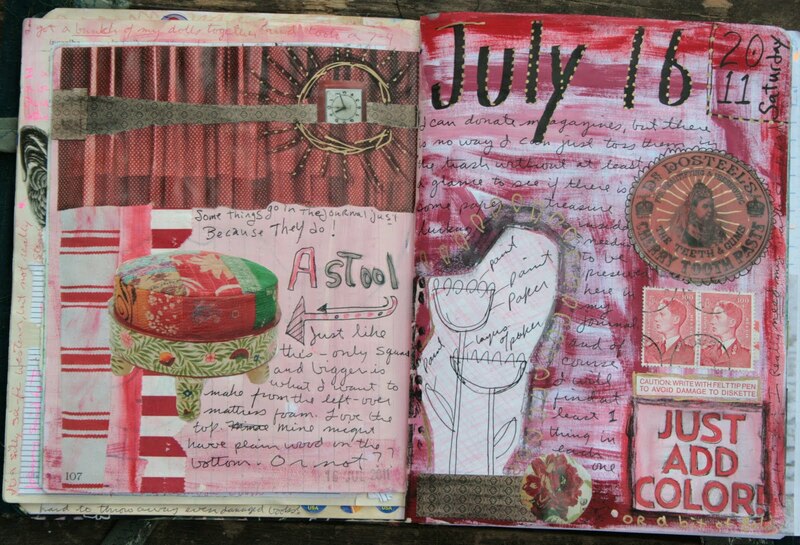 I did pretty well with the Art Journal Everyday until school started. 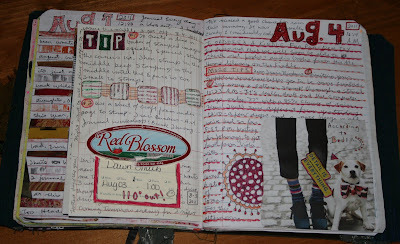 I skipped the two weeks we've been in school, but I got back in gear today. We'll see. 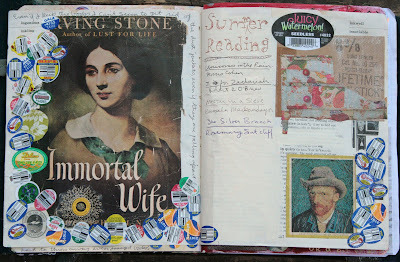 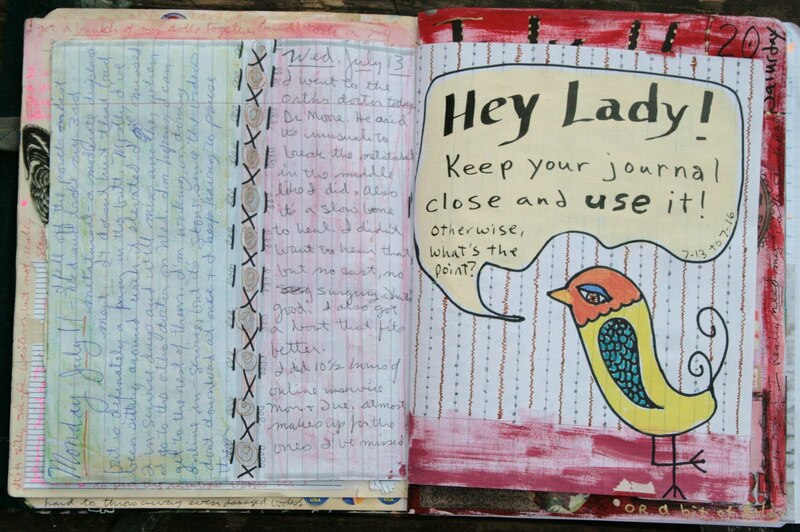 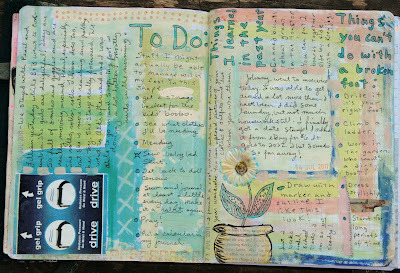 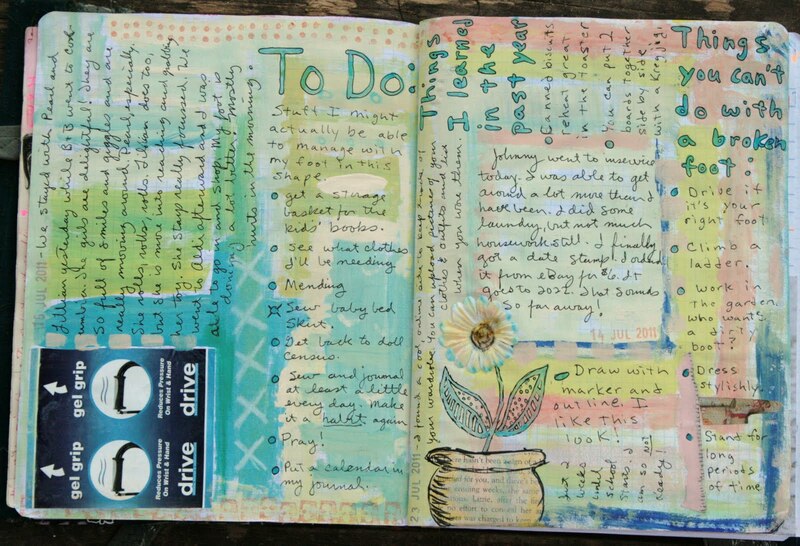 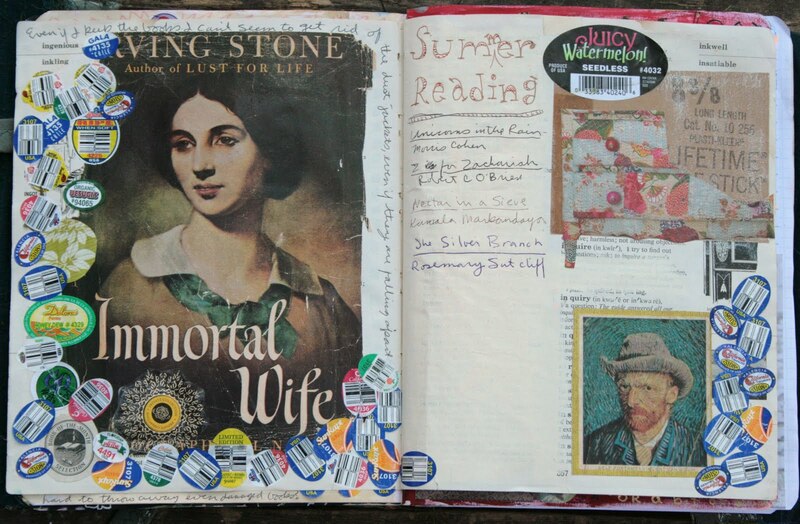 Here's what I did while I was actually journaling every day and a couple of older ones I had forgotten to photograph. 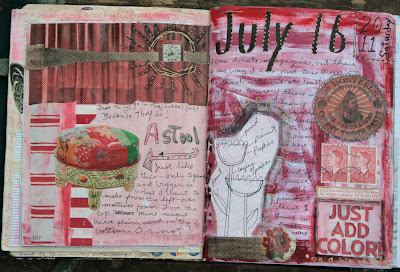 I'm still journaling with limited supplies as I can't get up to my workroom due to the broken bone in my foot. 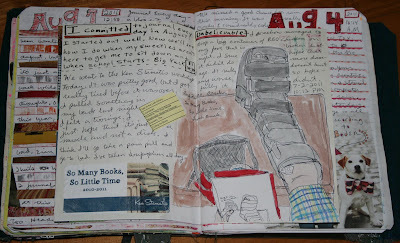 It's been seven weeks, but I'm still in the boot.